I got stuck again last night on YouTube watching various stationary videos. 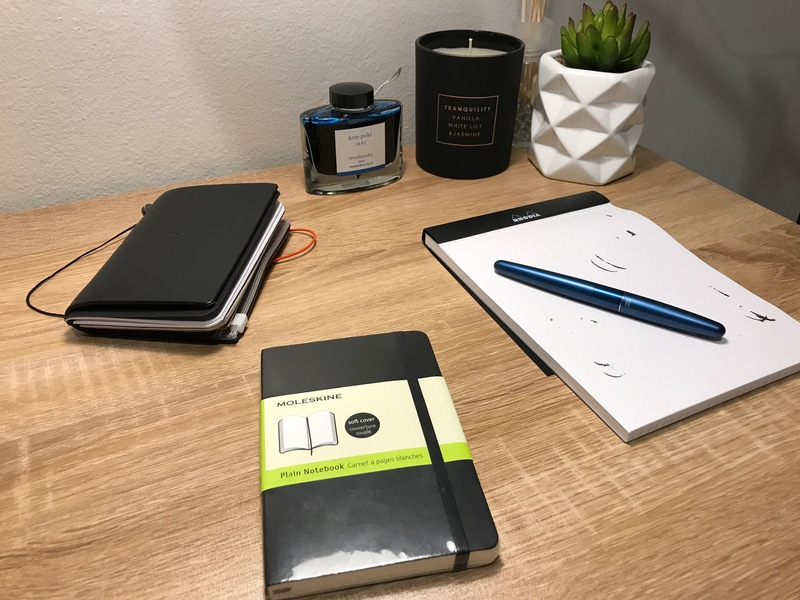 Fountain pen reviews, Midori Travellers notebook set ups, moleskine art journals and much much more. It led me into another which-note-book-should-I-be-using crisis as often is the case when I start watching these kinds of videos. You see, I have so many notebooks (mainly Field Notes) which I collect. I keep a daily Moleskine pocket diary (the thick daily kind) which I write in every day as well as always carrying a field note in my back pocket wherever I go. My Midori is usually chucked in my bag and only makes itself known when I occasionally put my Field Note in it for safer keeping. The perfectionist inside me likes a unified archive of notes. I cannot have different sized books. I cannot have a Field Note one week and a Moleskine the next. If I am journaling or catching my notes, I want it all the same. I dont know why. Maybe I have a problem. Or, maybe I have OCD. I just need my books to be the same. By now, a bunch of people would have scrolled past this post thinking “What is this guy going on about?”. For those that have stayed, I know you know what I know and how I feel. So getting back on topic, last night while I was watching these videos, I got out my old note books and realized my daily catch all notebooks went from a Moleskine soft cover pocket, filled with amazing notes, keepworthy thoughts, dismal but delightful drawings of random things my brain thought up, to Field Notes filled with work notes like who is changing shifts with who, random figures and time slots, sales report notes and other boring-I-don’t-want-to-read-this-again kind of notes. What went wrong? I went from writing interesting things in my catch all notebook, things that gave a glance into the inner workings of my imagination and mind to catching all the boring un-fun stuff in my life. I was using my Field Notes to catch the boring work notes and just got in the habbit of it. I was pleased I was actually filling them up, but looking back through some of them, it almost put me to sleep. When looking through my old Moleskine catch all notebook, it was filled with interesting things I am glad I wrote down. And I think it had something to do with my keeping the Field Note in my back pocket and scribbling in any old junk. Instantly I knew what I had to do. 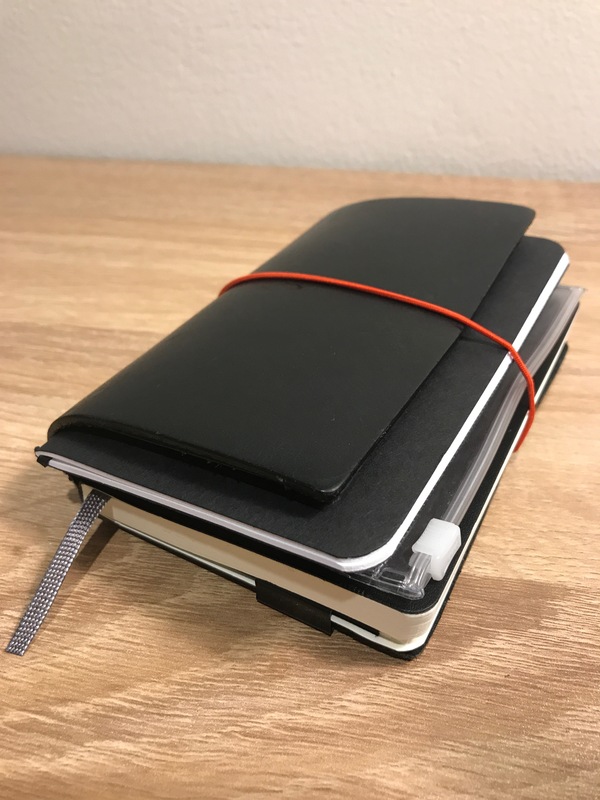 Buy another Moleskine pocket softcover and use it as my catch all notebook, only writing in it when I have an idea, thought, want to record something profound and not all the work crap. So, thats what I did today. Originally last night I did vow to not waste my Field Notes filling them up with boring work things, but instead use them as my daily catch all, and this would have worked perfectly fine, but, today my inner perfectionist kicked in and reminded me that it would not be right to have a Moleskine, Field Note, Field Note, Moleskine combo so instead, I will now use my Moleskine as my daily catch all so when I have a collection of notes, they are all in Moleskines. This is what keeps me up at night guys. Reading this post back to myself it appears so, but, I finally feel after all these years I know which kind of book and tool I like to use to record my ideas. This is progress…small steps. 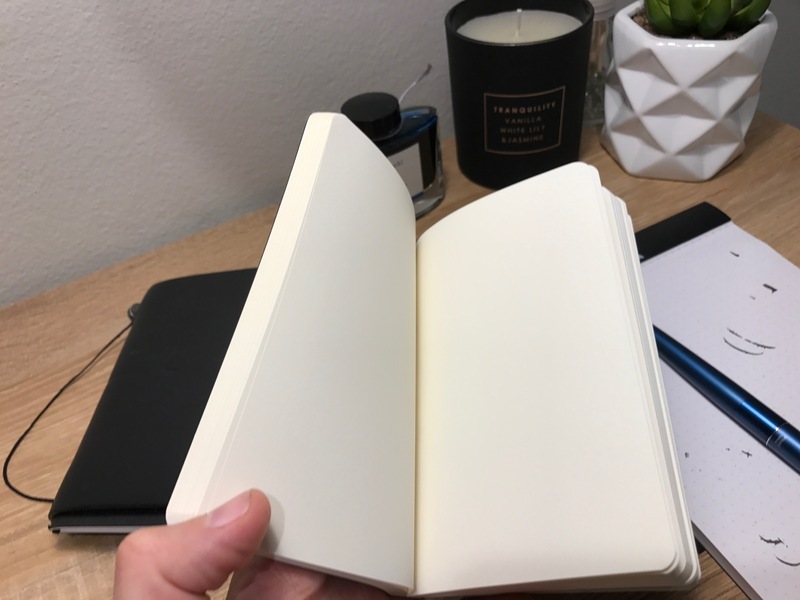 I bought a new Moleskine softcover pocket blank notebook today, my first ever blank page kind. The excitement I felt looking at the blank pages and all the possibilities of what to fill in it, albeit probably with crooked wonky writing, but the joys of a fresh blank notebook is just what I needed. – Pitch black Field Notes. – Two rivers Field Notes. Look at the bloody thing. Now my new problem is that I have the half filled Field Note which was my previous work/catch all notebook just sitting there. I guess I may as well just fill the rest with boring work notes now that I have the Moleskine shoved in there. And another new problem…what to use my Field Notes for? I guess they will just continue to be a collection thing than a use thing for now…until I have another mid life notebook crisis. I think I need professional help.